Your One Stop Christmas Shop! Welcome to the Christmas Store at Digs n Gifts in Fort Lauderdale By The Sea, Florida … featuring Christmas Decorations, Lights, Trees, Ornaments Wreaths, Garlands Greetings Cards, Christmas Party Paper Goods including Christmas Napkins, Plates, Table Runners and Cover to Gifts and More. We Feature a variety of kinds of Themed Christmas Decor such as Coastal Christmas Decor Galore to traditional Themes and Rich Color-ways. A Christmas forest of Christmas Florals and Silks, Christmas Picks, Pine Branches, Glittered Edged Poinsettias leaves to Christmas Trees Christmas Tree lights and ceramic Christmas table top decorations perfect finishing touches for a bountiful Christmas dinner table centerpiece, entry table, fireplace mantel or just about anywhere you want that touch of Christmas Warmth. Find Christmas trees in a variety of sizes from Table Top Christmas Trees to mini Christmas Trees, Christmas Wreaths, Merry Christmas Linens Hand Towels, Christmas Table Runners, festive Christmas Fragranced candles including the Famous Must Have... Thymes Frasier Fir Candles Diffusers along Aromatiques Decorative Potpourris as well a huge selection of Holiday Christmas paper goods, paper napkins, dinner, dessert, and salad plates and more. All in styles ranging from stylish and elegant to humorous and fun. Looking for Unique Beautiful Collectible and one of kind Christmas Ornaments? We feature them from Designers such as Christopher Radko, Kurt Adler, Joe Spencer, David Strand, Mark Roberts, Jacquiline Kent just to name a few. We feature an enormous collection of Coastal Beach and Florida themed Christmas Ornaments Decorations lights and more. Christmas Cards and Christmas party goods from napkins plates and tablewares to Christmas Trees, Wreaths, Garlands, Ornaments, to Silks, Christmas Flowers and Floral Decor, Ribbons and Trims , and did we say Christmas Decorations Galore! 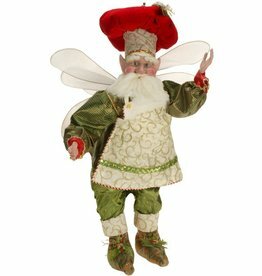 Find Christmas Trees, Pre-Lit Trees, Minature Trees, Holiday Wreaths, Christmas Decorations and Ornaments from Kurt Adler, Mark Roberts Fairies, Katherine's Collection, and Holiday Paper Goods Paper Products Napkins and Paper Plates from Caspari Christmas Slant and more. Find Ornaments for Christmas, Seasonal Holiday and Everyday Decor projects in a variety of themes for any event, party, festivity or decorating project. We also feature large display decorations and oversize decor items, luxurious full think garlands, perfect for larger homes, condiminum lobby, condo lobbies and offices or just about anywhere you want something BIG or to Make a Big Christmas Cheer Statement! You have probly seen many of our items in your tours thorugh the famous Parade of Homes, HGTV magazine, Hard Rock Boat Parades and more. 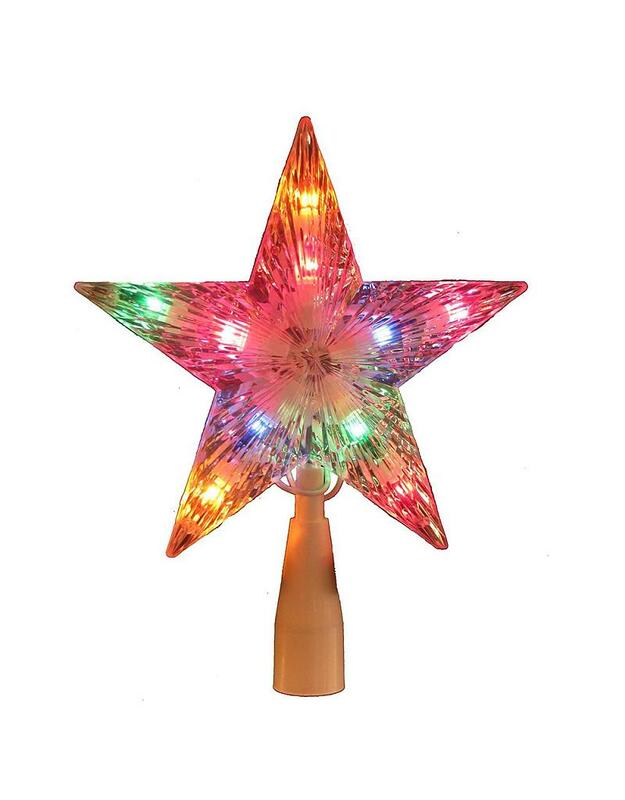 If you are In search of that perfect Star Tree Topper? You will find here it at Digs. 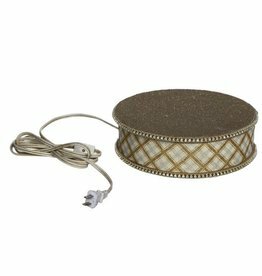 We them from large to small, pre lit, non lit, in metal, fabric beaded, animated and even rotating disco ball star toppers. And we carry old world finial styles as well. We are also king of nutcrackers in all sizes shapes and forms. So have fun this Chrismas and Happy shopping at Digs n Gifts Christmas store in Fort Lauderdale, Lauderdale by the Sea to be specific and Merry Christmas from all us to you and yours. Large Size Nativity Set. Set of 12. Size 8-33 inches each +-. Beautifully Crafted in the traditional Mark Roberts style and detail. 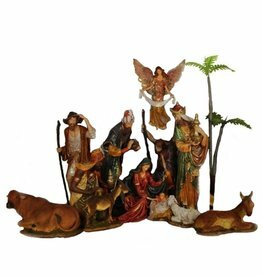 Nativity Scenes by Mark Roberts, Christmas Nativity, Religious Christmas Decorations and Decor. Size: 36 inches. 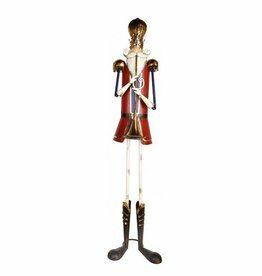 Tall Nutcracker Stands on Musical Wind-up Base and plays Jingle Bells. Mark Roberts Nutcrackers Limited Edition Christmas Collection. Christmas Nutcrackers Themed Decorations and Holiday Decor by Mark Roberts. Size: 68 inches Tall. 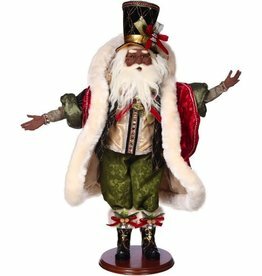 Tin Christmas Nutcracker by Mark Roberts Christmas Nutcrackers Decorations Large Display Collection. Size: 7 foot x 45 inch Girth. Pre Lit Tree with 403 tips and 250 UL approved Clear lights. Christmas Trees by Kurt Adler. Size: 23 inch. 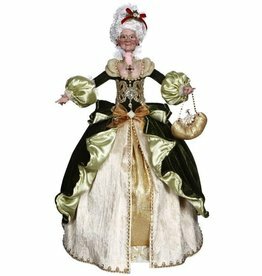 Mark Roberts Limited Edition Mrs. Claus On The Town Santa Doll Figurine. 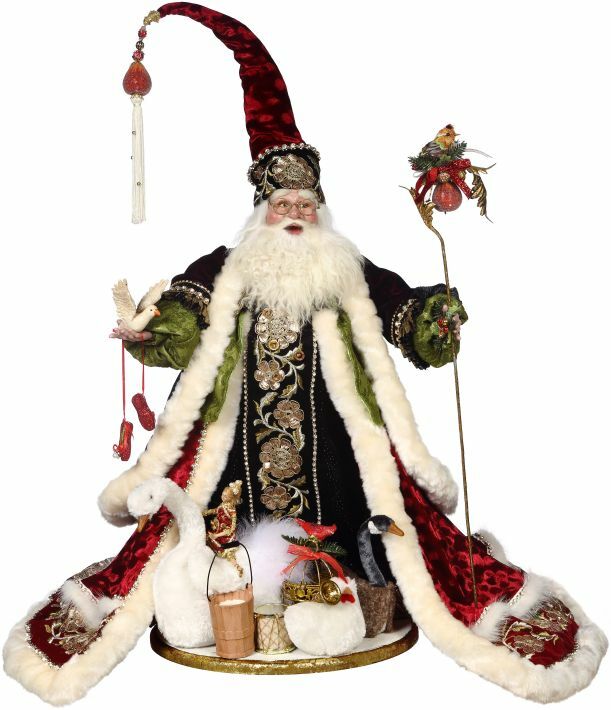 Mark Roberts Santa's Limited Edition Christmas Santa Collections. Size: 7.5 Feet. Pre- Lit Quareter Tree with 475 tips with 300 UL Approved Clear Lights. Christmas Trees by Kurt Adler. Great for Corners, Display Windows or Mirrored Corner! Angelic Standing Angel Table Top Display Piece. Size 25 inches. 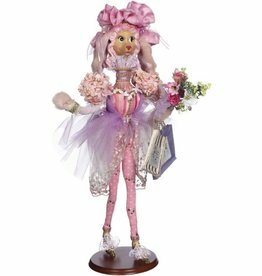 Beautifully Crafted in the traditional Mark Roberts style and detail. Angels and Angelic Angel Themed Christmas Decorations and Home Decor by Mark Roberts. Angelic Flying Angel Hanging Display Piece. Size 25 inches. Beautifully Crafted in the traditional Mark Roberts style and detail. Angels and Angelic Angel Themed Christmas Decorations and Home Decor by Mark Roberts. Douglas Display Wreath-Green. Size: 48 inches Dia. 448T/200L. Collection: Christmas Decor Collections. Winward Silks Home Decor and Decorations for the home. Set of 8 Pieces, Sizes 4 to 13 inches. Beautifully Crafted in the traditional Mark Roberts style and detail. 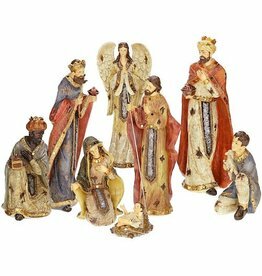 Nativity Scenes by Mark Roberts, Christmas Nativity, Religious Christmas Decorations and Decor. Natural Christmas Trees Hook Tree Skirt. (Same texture as a hook rug). Size: 52 inch round. 100% Wool and Cotton. Peking Handicraft Inc. Handcrafted quality handcrafted linens for the home, home fashions, holiday celebrations, entertaining and more. Size: 4 Feet x 24 inch Girth. Add a beautiful and festive touch to your holiday lighting and decor with this 4-foot pre-lit berry topiary tree from Kurt Adler. Its slim design is adorned with red berries and is pre-lit with 100 clear incandescent lights. Roatating Base for displying your fiaries or elves. Size: 10.25 inhes Diameter. Fairy and Elf Display Stands and Bases by Mark Roberts.